Como saber ser uma agulha está no fim, portanto, próxima de ser trocada. A agulha foi projetada para ser gasta pelo disco de vinil e não o contrário. Se fabricassem uma agulha de grafeno, a exemplo, que é um material mais duro que o diamante, a agulha nunca gastaria e sim os sulcos do LP... Claro, isso inviabilizaria tudo. Uma agulha está no fim, próxima de ser trocada quando você já percebeu, pelo cálculo de horas (Entre 800 a 1.000 horas) que chegou o tempo de colocá-la na reserva. No entanto, nunca se deixe uma agulha "demonstrar" que precisa ser trocada, pois nesse momento ela já pode estar prejudicando o seu LP. E se você comprou um toca-discos novo e não tem como saber o dia em que ela começou a ser usada, é melhor trocar imediatamente, afinal, seus LPs valem ouro. Quando compramos uma agulha nova anotamos a data e a média de horas que escutamos em um mês. Com esse cálculo, quando se aproximar de 800 horas, troque por outra. Até 1000 horas no máximo. Fiz uma pesquisa com vários fabricantes e a média indicada por eles foi essa. Uma agulha pode durar com segurança até 800 horas e em observação, 1.000 horas. Mas é bom trocar antes, pois Vinil é coisa rara e agulha, não. Agulha gasta danifica vinil, sim, claro, óbvio. E não espere a música ficar chiando ou deslizando (já rombuda) mesmo com o vinil bem lavado e seu VTA regulado, peso de tração, etc. troque antes como eu disse. Vida útil de uma agulha de diamante: 500 a 800 horas. Eu escolho pelo mínimo. 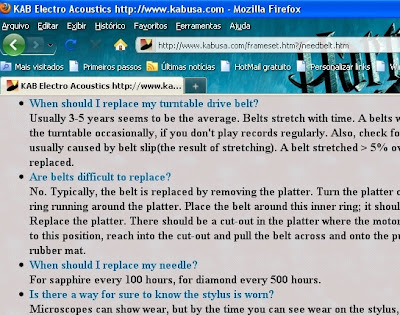 Vinil estragado, não tem jeito; agulha, troca-se e está tudo ok.
Calcule assim: Faça uma média da quantidade de horas mensais em que você escuta seus vinis. Obs. : Fiz uma pesquisa junto a fabricantes internacionais e houve uma certa disparidade de sugestões, de 500-800 horas, chegando até 2.500 horas (Os e-mails enviados aos fabricantes estão guardados). Pela prudência e pelo fato de que sulcos de vinis quando estragam por uso de agulha gasta, não há mais jeito, sugiro a troca pela sugestão mais prudente de 500 a 800 horas, atentando inteligentemente que: Uma agulha se troca, um vinil, não. Um sulco de um vinil raro destruído, acabou! Acabou-se o som maravilhoso! (Atualizado em 09/02/2011). Dual Moving Magnet Vector-Aligned Dual Magnet design and Audio Technica's exclusive Paratoroidal signal Generator. This unique signal generating system is composed of a unified, laminated coil core wound with a single piece of wire. Internal mechanical and electrical connections are eliminated, minimizing magnetic losses and assuring better signal transfer. The use of PCOCC wire (Pure copper by Ohno Continuous casting), a special copper with virtually no transverse crystal barriers to impede signal transmission, perfects the performance of the advanced paratoroidal coil design. Thus, the coil of the cartridge transmits distortion-free sound in which even the most subtle sonic details are reproduced with clarity and purity. The half-inch standard mount AT-120E/T cartridge has gained a loyal following among audiophiles. It is extraordinarily crafted and provides musical enjoyment far beyond its price range. After about 100 hours of break-in, the AT-120E/T metamorphoses into a skilled artisan. You'll enjoy its cohesion, wide soundstage, tight bass and crystalline highs. Price: $108.00 (August, 15, 2009). Diferenças entre cápsulas MC e MM. There are two types of phono cartridges, moving magnet and moving coil. The two types have different designs and performance characteristics. It all starts with the stylus or needle on the phono cartridge. The stylus travels through the grooves on the record moving horizontally and vertically, tracking the minute fluctuations in the groove that represents the music on the record. As it travels, the stylus creates a small audio signal generated by the proximity of a magnet and a coil. All phono cartridges have magnets and a coil – the difference is where they are located. The advantages of a moving magnet cartridge are high output, which means it is compatible with any phono input on a stereo component. 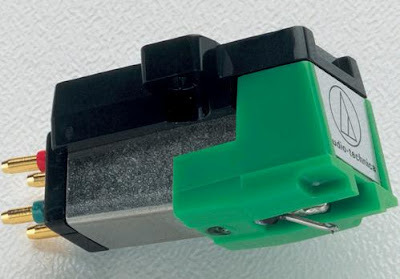 Many moving magnet cartridges also feature a removable and replaceable stylus. This is important in the event of breakage. Its disadvantages are that the magnets have higher weight or mass compared to a moving coil cartridge, which means they can't move as quickly in the record groove. This inhibits its ability to track subtle changes within the groove. This is where a moving coil cartridge has performance advantages. 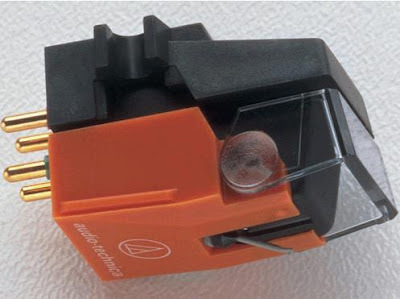 A moving coil cartridge is sort of the opposite of a moving magnet cartridge. Instead of magnets, two small coils are connected to the end of stylus located in the body of the cartridge. The coils are smaller than magnets and weigh much less, giving the stylus more agility when navigating the constantly changing record grooves. In general, a moving coil cartridge traces the grooves better because of its lower mass and provides more detailed and accurate sound quality. One disadvantage of the moving coil cartridge is that it generates a smaller voltage and requires a secondary preamplifier, sometimes known as a head amp. The head amp increases the voltage enough for a phono input on a stereo component. Some moving coil cartridges have higher output and are compatible with a standard phono input, but its output will be somewhat lower than a moving magnet cartridge. 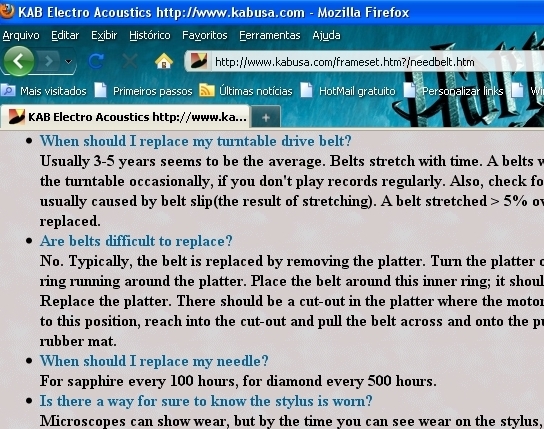 The stylus is also not user replaceable in a moving coil cartridge and must be replaced at the factory or the entire cartridge discarded if the stylus is broken. Both types of phono cartridges will provide good performance, but if you want the best, select a moving coil cartridge. Dual Moving MagnetVector-Aligned Dual Magnet design and Audio Technica's exclusive Paratoroidal signal Generator.This unique signal generating system is composed of a unified, laminated coil core wound with a single piece of wire. Internal mechanical and electrical connections are eliminated, minimizing magnetic losses and assuring better signal transfer. The use of PCOCC wire (Pure copper by Ohno Continuous casting), a special copper with virtually no transverse crystal barriers to impede signal transmission, perfects the performance of the advanced paratoroidal coil design. Thus, the coil of the cartridge transmits distortion-free sound in which even the most subtle sonic details are reproduced with clarity and purity. · Recommended Load: 47 kilohms in parallel with 250 pf. · Stylus Tip: Side x front radii: 0.4 x 0.7 mil The half-inch standard mount AT-71E cartridge sounds rich, balanced and crystal clean. It allows discerning music lovers to attain extraordinary listening pleasure without the lofty expenditure typically associated with high performance cartridges. And yes it is exquisite. The AT71E is rated a "Best Buy" in the UK and we agree wholeheartedly. · Recommended size for Edison Diamond Disc and 1920's and 30's records is 3.5 mil. For the raw aluminum and 1930 RCA pre-grooved disks use 4.0 mil. 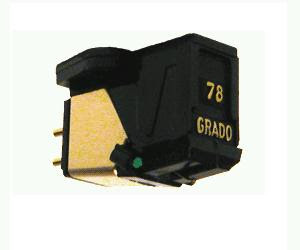 Grado Cartridges Superior Design & Precision FabricationAll Grado cartridges now use a derivation of the moving iron principle which feature patented OPTIMIZED TRANSMISSION LINE cantilever technology, PIVOTED FIXED AXIAL STYLUS-GENERATOR MODULE, and Grado's FLUX-BRIDGER GENERATOR SYSTEM. · Stylus Replacement U=user U Price: U$$150,00. (August, 13, 2009). All Grado cartridges now use a derivation of the moving iron principle which feature patented OPTIMIZED TRANSMISSION LINE cantilever technology, PIVOTED FIXED AXIAL STYLUS-GENERATOR MODULE, and Grado's FLUX-BRIDGER GENERATOR SYSTEM.